The competition is getting fierce for retailers, and customers are looking for the next best thing in retail shopping that guarantees maximum value. But how do retailers grab customers’ attention and at the same time prove that they have what they are looking for? Digital Signage is the name on everybody’s lips. In this day and age, Digital Signage has become an important tool in retail business and so many people are beginning to realise the benefits it offers for small and medium scale enterprise. Raising brand awareness can be actualized when brands go digital. Digital brands are a step ahead of their counterpart in print advertising, in the sense that Digital Signage helps your brand to truly connect with customers and improve loyalty and average spend. Furthermore, you can get instant updates with Digital Signage while working with a whole network of screens, so all the branches or outlets of your company are up to date all at the same time. Our wide range of Digital Signage screens are just perfect for retail stores. Digital Signage resides perfectly within all environments and it is up to you to decide what you want to get out from your screen. The options are quite varied; if you intend to get more foot hold with your customers by using promotional videos of your latest product, then our Android Advertising Display would be a perfect fit to present your products to the outside world. Seeking for more footfall or want to convert them into sales? All that can become a seamless process with Digital Signage. 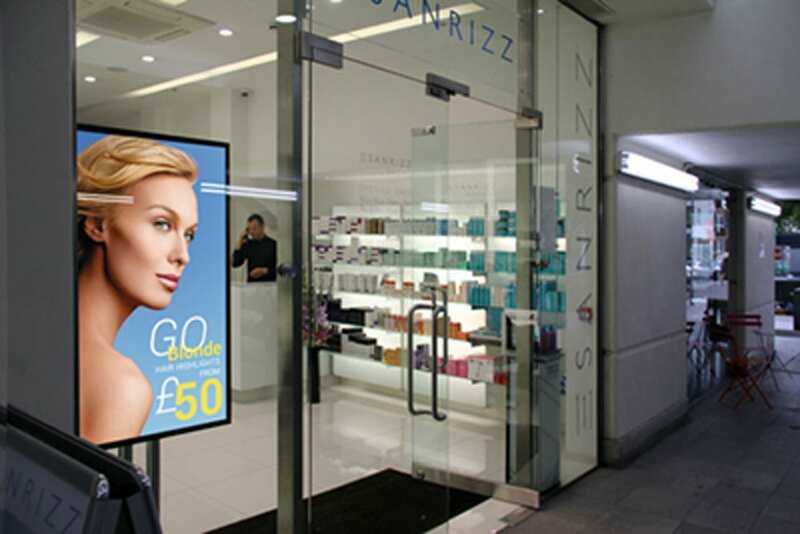 Or do you require a High Brightness Screen right in front of your shop to help bring in a barrage of customers? Retail can be a complex mix of so many variables not just advertising. Interaction with customers can play a big part in your journey to becoming successful in this business. With an alluring touch screen similar to PCAP touch screen, customers have the perfect opportunity to educate themselves as regards products and services that they are not familiar with . The most interesting thing is that, it is consumer -driven and akin to having a sales assistant round the clock. 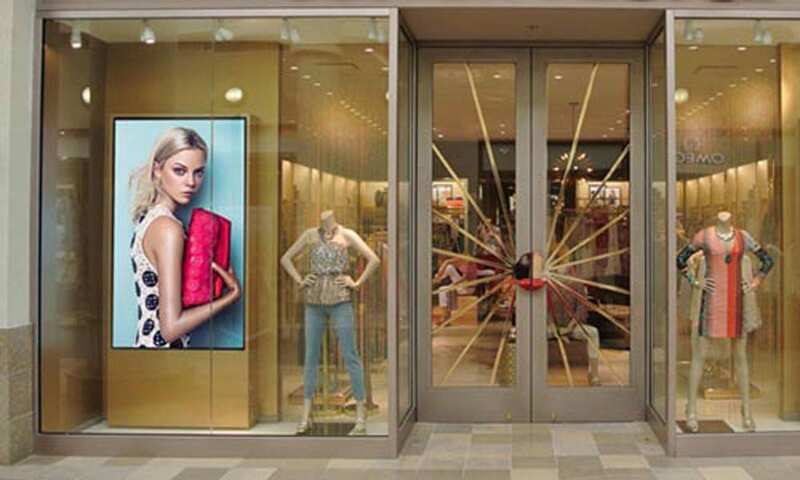 If you truly want to succeed with Digital Signage in a retail environment, then you will have to put so much effort into understanding your customers and their experiences while in your shop. With Digital Signage, the opportunity for the world to see your products and brand falls on your feet, and you know what that means for your business. Workers with minimal technical knowledge can update the displays with the plug and play USB method. The screen’s automatic power timer allows you to set on and off times for the display so the screen is only in use when it needs to be. Scheduling software allows you to display content on different days and times of the day. The Wall Mounted display comes with a free flat wall mount. The Freestanding Advertising Display comes with integrated castors so the screen can be moved around easily. Screens can be networked so they can be updated remotely and more multiple media zones can be displayed on screen. Perfect for windows displays as Ultra High Brightness Panels means the screen can be readable in direct sunlight. Ultra resistant to blackening up to 110˚C. Can be powered using Power-over-Ethernet, meaning no plug is needed. 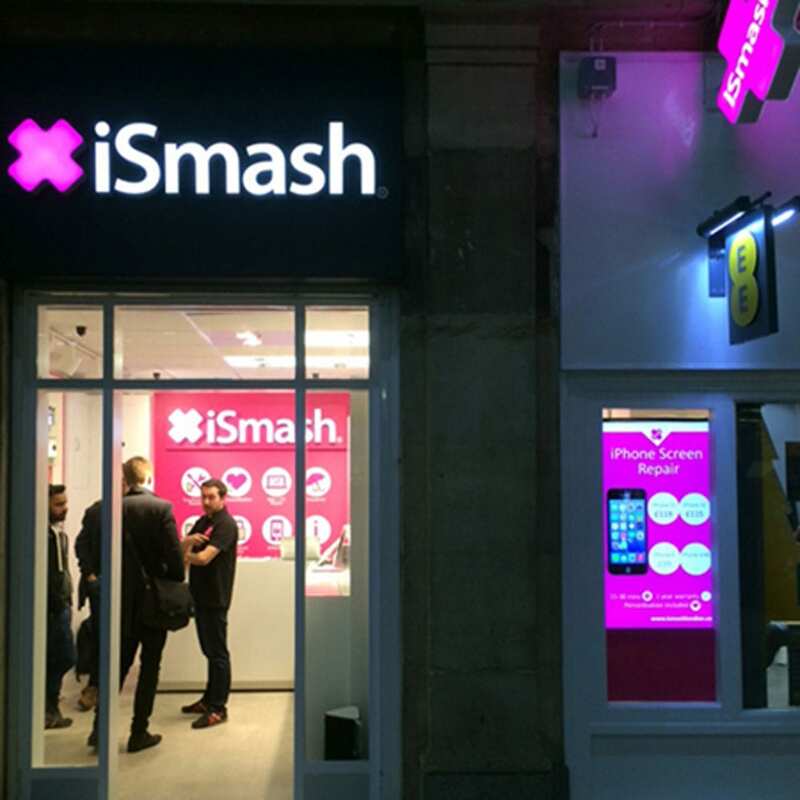 Small sized screens deliver targeted messages to customers in a more intimate way than larger sized displays. VESA mounting holes and slots make it easy to mount the display on POS/POP display and retail shelf edges. 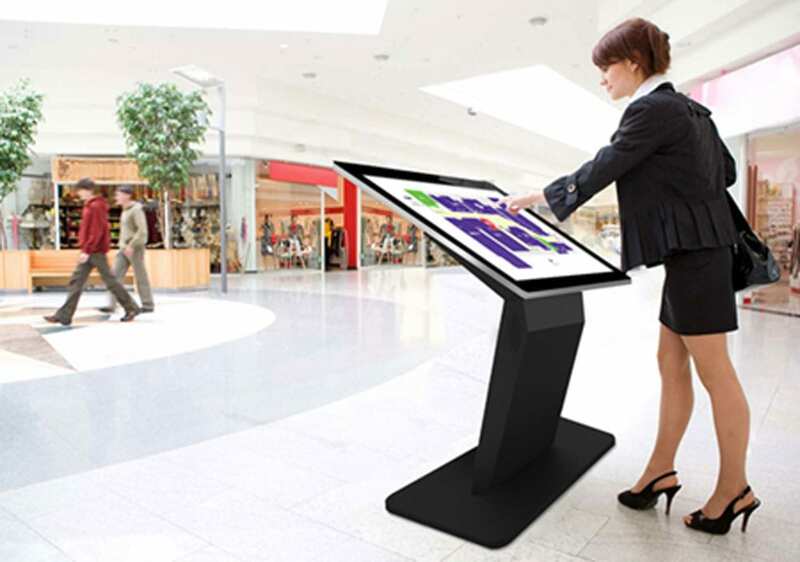 Upgrade to a PCAP Touch Screen to allow a whole new level of interactivity. In some quarters, it is believed that Digital Signage is nothing more than educating the customers. It is either you’re educating customers via the benefits attached to buying a particular product or better still, in a classroom. Imparting knowledge in this industry can be achieved by using Digital Signage Displays, which are essential tools for education establishments. Among the best tools is the Interactive Touch Display. It is believed that this tool holds a place in the future of the classroom and it is no surprise that their importance is already being felt because they are taking over and replacing outdated interactive projectors. With the advent of apps on smartphones and tablets, the abundance of apps that is targeted at education and available for teachers to use is ever growing. Touch Displays are specifically built for presentations and also for teaching, enabling students to view it (we have 55″ Interactive Touch Displays in stock). It has a 10 touch point that makes learning fun when done in a group rather than going solo with one that has a frosted front to the touch screen; enhancing tactility and light go through diffusion rather than reflection, which allows the display to remain clear and legible in all areas. During education, Interaction Touch Displaybecomes a critical tool for learning. Educating while using Digital Signage is not limited to Touch Screen, but can actually go far and beyond. At this time, internal communication within colleges and school and has been neglected for so long. And considering the several thousands of students involved, it is essential to convey information to them in a seamless manner and quickly too. Digital Signage Screens can be updated as fast as possible from several activities like school event, announcement and so on and so forth. The common scenarios, these days have to do with Video Walls in reception areas of schools. When you talk of Video Walls, the word that readily comes to mind is “attention-grabbing,” and they are perfect fit for any space. They are capable of holding students and visitors spellbound. Easy access front ports allow you to quickly and conveniently connect your own laptops and computers via HDMI and USB (or wirlessly). Do not cast shadows like outdated projectors. Etched glass finish and 10 touch points mean multiple students can use the screen at any one time. Wireless mirroring and file sharing with mobile devices, tables, PCs and laptops. If you are running the Interactive Touch display from a laptop you can ‘freeze’ the display, so you can work on your laptop independently. Can be mounted at any height onto a wall or mounted on a portable trolley stand so it can be placed in multiple locations. Use in any classroom you like or even the assembly hall for playing DVDs. Styluses are included with the Interactive Touch Display. Reception or administration staff can easily update the screen by using a USB stick. Integrated Castors means it can be moved easily into multiple locations. With sleek tablet like styling these screens make a great impression for any school reception area. Great for direct internal communication for staff and students alike with news such as events, wayfinding, room changes and even students achievements. Schedule playlists so you can set what content is displayed and when. For example you can set the canteen menu to play during morning but change to other content after lunch has ended. Can be vinyl wrapped to reflect school colours or even a schools logo. The automatic power timer means that the screen can be scheduled to turn off outside of school hours and term times. If you upgrade to a Network screen, PDF’s and Office documents can be uploaded so staff with limited technical knowledge can create and upload content for the display. When it comes to the ‘Fast Food’ or Quick Service Restaurant (QSR) Sector, grabbing customers’ attention will always be top on the list. The trend these days is the replacement of static printed menus by Digital Menu Boards. Grabbing customers’ attention has always been the way to go for successful Digital Boards, and also keeping that attention span for a considering period of time by letting them in on offers that will be promoted in the near future. When you go digital, you have the great advantage of infusing motion into your menu, and that confers so much excitement and enticement too. To really be ahead of the pack, it is critical not to downplay the effect that customers viewing of menu bring to the picture. With the Digital Menu Boards, you can showcase your food in a unique and most exciting manner. Now with the concept of high definition, coupled with a vivid LCD panel, your food can stand out from the crowd. Instant update is also available with Digital Menu Boards, and it will cost you nothing to add that to the fray, which is not obtainable with the print menus; Digital Boards tend to bring about a huge saving in terms of cost—because no distribution cost is involved. Changing of information, such as pricing can be done instantly. Synchronization of content can be achieved with Networked Digital Menu Boards across multiple screens, thereby bringing to live that stunning appeal. Again, the chance to showcase your brand to your potential customers and what value you convey can also be accomplished using Digital Menu Boards. Whatever your brand represents—either excitement or youthful in nature, or better still, upmarket or refined—our Android Digital Menu Boards with their glass tampered front, alongside the slim profile and also the bezel ooze quality can present an alluring atmosphere that will be indelible in the minds of customers for a long time to come and make them want more from you. Creating a better experience for customers is another benefit of having Digital Menu Boards, as the ordering process is being simplified while still notifying them of future offers that they were hitherto unaware of. Additionally, the perceived wait time is reduced to the barest minimum, which is quite critical to QRS experience. Touch screens and its implementation take an essential position in the future of QRS industries, as apps like Justeat and Deliveroo are taking the market by storm. Customers are making use of their touch screen tablet and smartphones to place their order for food in the comfort of their homes. Integrating this philosophy into QRS with our PCAP Touch Screen with Dual OS being used in synergy with kiosk display would be such an interesting thing. Some of the benefits that readily come to mind for businesses using a touch screen kiosk is that it helps in the processing of more orders and quickly too during busy hours without employing more hands. It is a better experience for some customers using touch screen rather that dealing in person with employees. You can put in your restaurant Digital Menu Boards and Interactive Touch Screens to redefine customers experience without them realising it. Choose from our exclusive library of fully customisable menu board templates. A commercial grade IPS panel with a brightness of 450cd/m2 (twice as bright as a domestic television) and can run 24/7 with no loss in image quality. 1 year free software licence allows you unrestricted access to the online CMS portal as well as lifetime technical support. Update multiple Menu Boards instantly across several locations via our Network CMS from anywhere in the world. Schedule different menus for different times of the day, month and year. A narrow bezel makes the Digital Menu Boards more attractive when mounted side by side. Synchronise dynamic content across multiple screens. The automatic power timer allows you to set on and off times for the display so the screen is only in use when it needs to be. If there is no internet access available the Digital Menu Boards can be updated thanks to the displays backup USB option. Scheduling software allows you to display menus for different times of the day. The screen comes with a free flat wall mount that allows you to mount in portrait or landscape. Tempered glass front means the screen can be easily wiped down and cleaned. Screens can be networked so they can be updated remotely and multiple media zones can be displayed on screen. If networked you can synchronise your menu across multiple screens. There has been a transformation when it comes to communication in the healthcare industry between staff and patients, with the help of Digital Signage displays. Whether for finding your way or to display health care information, digital displays create that platform to intimately interact and engage patients by healthcare givers, thereby improving the overall experience for any patient. The display of Digital Signage can be achieved at different locations within the hospital facility, such as hallways, lobbies, car parks, etc. It is important to note that Healthcare Digital Signage takes away boredom while in the waiting room for appointment. With a Digital Signage screen, patients will be engrossed with its effects and the perceived waiting time is reduced, and invariably stress and anxiety experienced by some patients are drastically lessened. For all the benefits it conveys, a Digital Signage display is a wonderful opportunity for entertainment or a form of escape for patients and visitors. It wouldn’t be out of place if you consider your Digital Signage as a modern notice board. There is no limit to what you can achieve with it; the display of vital health advice can be put up. You can even go ahead to promote products and services and events in a very unique fashion that is very organized and appealing to the eyes. The screen can be easily updated using simple USB method, and it can done by any member of staff irrespective of the fact that the person is IT savvy or not. Improving the experiences of patients and visitors in the waiting room has never been better; integrating a live TV redefines the whole experience, not to talk of the social media feed integration or sharing recent community news and events. Way finding has always been a vital part of the health sector. Navigating from one point to other should be done without hassles and quickly too. It can sometimes be frustrating to navigate ones way in a hospital, and that is one of the reasons Digital Signage is gaining popularity. The importance of Healthcare Digital Signage can never be relegated to the background, as it is an essential tool for communication in hospitals and healthcare facilities. You will get real time update of any happenings in the hospital; it is cost-effective as there is no need to bother about printing costs and paper waste is reduced effectively. Digital Signage also extends its benefits to the entertainment industry, as casinos, cinemas, zoos and theme parks are not left out of this opportunity to provide a redefining customers’ experience. In regards to the venue for entertainment purposes, Entertainment Digital Signage holds sway as an advertising tool to connect with customers effectively. You can decide to promote services and events directly to specific targets. Furthermore, repeat customers have the opportunity to be informed of short term promotions that they could have missed out on. In today’s world, screens have become an integral part of our lives; the smartphones and the tablets have all made it easy to interact with content. Entertainment venues now want to incorporate Commercial Touch Screens to staying relevant and provide fun seekers more excitements. With Touch Screens, there comes a new level of interactivity which it bestows on the audience. You can’t completely imagine the benefits; fun company videos, integration of gaming app and several others are some of the things customers get to benefit. 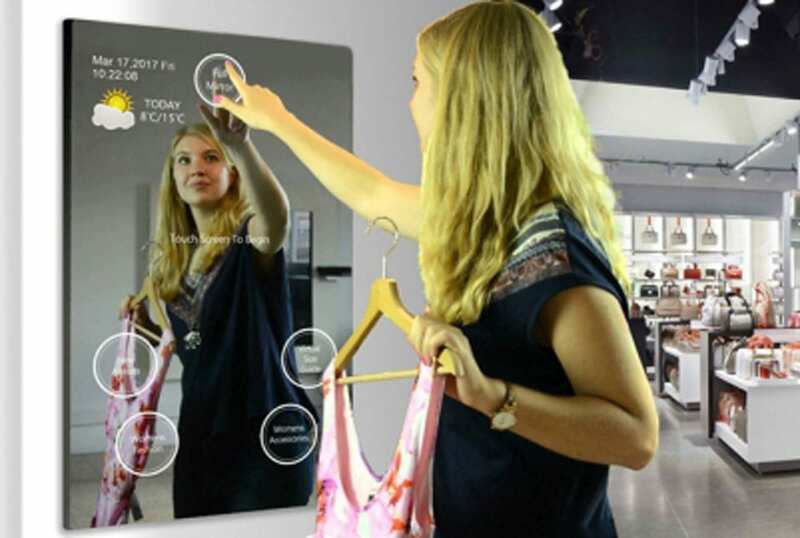 Touch Screens allow you to showcase your company in it true self to your teeming customers. Attract big audiences with Videos Walls that can scale to big sizes. All eyes will be on your content with a virtually seamless video wall. Built-in automatic tiling makes configuration simple and cost effective. Made with commercial grade LCD panel and components mean these Video Walls can be in constant use 24/7 and have a lifespan of 70,000 hours. IPS panels make your Video Wall appear bright and vibrant and improve viewing angle. HDMI and VGA are just two of the different inputs that allow you to connect external sources. Staff with minimal technical knowledge can update the displays with the plug and play USB method. The effect of Transport Digital Signage in the transport sector has already been felt before now. 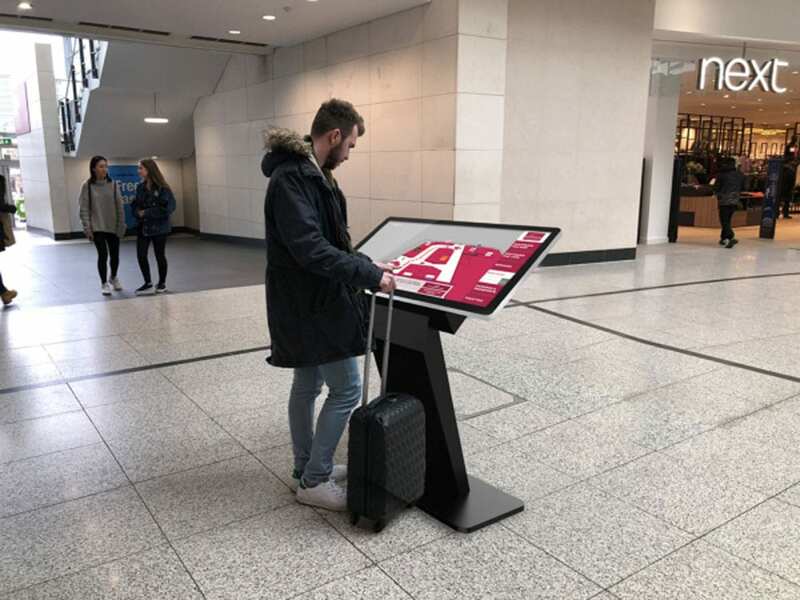 With a wide range of passengers trying to lay their hands on vital information, Digital Signage screens are an essential advertising tool in transport hub. With bus stations, airports, and train stations, giving real time information to passengers is critical to achieving effective public transport interchanges. In this situation, you can’t deny the fact that Digital Signage provides some of the most cost-effective methods when it comes to the provision of real time updates directly to those that truly wants it. As travelers are about to start their journey, having the most up to date information, such as arrival and departure time can make the journey proceed swiftly. This information can be vital for passengers to jump on their mode of transport on time and to enable them have an idea of their arrival time. When delays, emergencies and cancellations are the order of the day, passengers are duly informed of this occurrence in time and customers are happier for it without being frustrated. Hence, they can make alternative plans. Digital Signage presents an awesome opportunity for viewers to get themselves acquainted with the nearest hotels or the available liquid allowance permitted for baggage on flights. In a way, Transport Digital Signage offers a kind of distraction, in a good though for waiting passengers. With the use of exciting videos, boredom can be drifted far away, all thanks to the entertainment coming from Digital Signage display. Optimization of experiences is another thing that Digital Signage does so well for travelers, while generating income for the transport hubs. Take for example, with Digital Signage Screens; you have the opportunity to sell more advertising space in areas having more footfalls when you compare it to static print signage. Cross promoting will make a whole lot of sense with so many retails and food concession stands available within a building with Digital Signage in place in the transportation sector. The advertising possibilities in situations like this are better imagined because it is limitless! 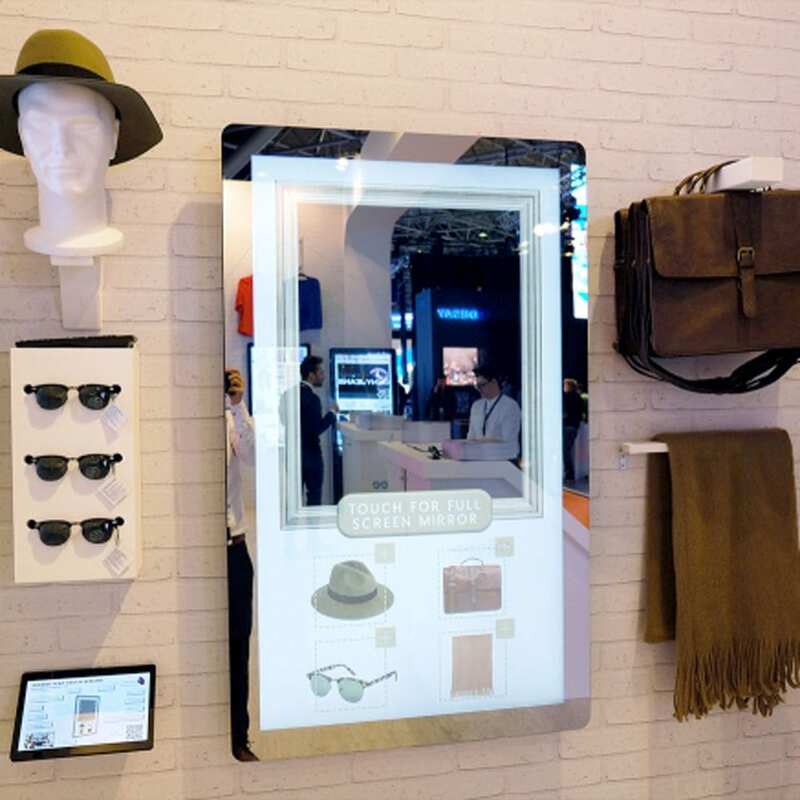 Believe it or not, the synergy between transportation and Digital Signage is gravitating towards a more automated system, and a Touch Screen will be essential to pull this off. With the advent of self-service ticketing machines and self-service check in kiosks–and becoming a commonplace now–only the best commercial grade Touch Screens with PCAP or Infrared would be a perfect fit in such situations. Perfect for outdoor station platforms and bus stops as ultra-high brightness panels mean travel timetables are legible even in direct sunlight. The IP65 rated enclosure means the screen can keep harmful dust and wet weather out. The internal components of the screen are protected by a vandal proof mild steel case and toughened glass. No external buttons or accessible ports so commuters cannot tamper. Can be network upgraded so real time updates can be shown on screen. Advanced temperature control system keeps the screen running at the optimum temperature and be in constant use. Touch Screen upgrades can keep travellers informed with real time information they want to know. Go big with your corporate branding and create a real wow moment in your reception or lobby with a Video Wall. Also suitable for board rooms and sales floors for displaying internal sales figures and live information in super large format. Collaboration is now king as you wirelessly mirror from your smartphone, tablet, laptop or PC direct to the touch screen. Files can now be shared back and forth from the screen to your device with ease as your meetings take place. Your interactive whiteboard allows you to annotate, draw and create meeting magic with the complimentary ‘MeetingPad’ Software included. The integrated Android PC means no external PC is required at all. Optional OPS PC helps to integrate into existing Windows networks. Easy access ports and controls on the front of the screen allow you to easily connect your laptop to the screen. The anti-glare etched glass diffuses direct sunlight meaning images and videos are much clearer. 10 touch points mean multiple people can use the screen at any one time.